Free websites or more fully featured packages, starting at $96 per year. It's important to note that not all of the features of the various packages are fully accessible via the app. When you start Weebly you can watch a brief slideshow explaining Weebly's main features. One slide explains how simple it is to make use of Drag-and-Drop to add content to your website. 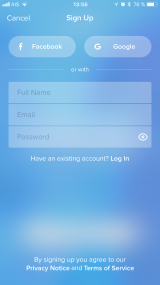 Creating an account on Weebly is very easy. You just need to input your name, your email address and a password. You can also register with your Facebook or Google account. You begin by can choosing a website category (from among Online Store, Business, Portfolio, Personal, Events, Blog and Others) and a template. An interactive step-by-step wizard then explains how to add content to your site. 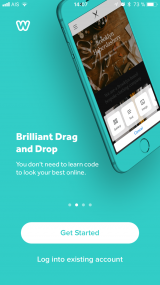 Weebly's app is beautifully designed and has been simplified considerably since we last reviewed the app 3 years ago. One criticism is that the app occasionally suffers from long pauses while you wait for things to load. 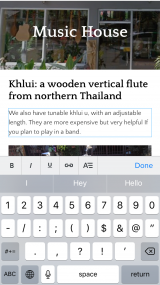 The drag and drop editing which we criticised so heavily in our original review has also been improved. It still causes some problems, and you have to experiment to learn how to use it, but it's definitely better and less error prone than it was. For example, I had to play around with the app to find out that I could only drag items to create multi-column sites by rotating my phone to use the app in landscape mode. But I appreciated how the columns automatically settle back into a single column for mobile viewing when you rotate back into the portrait orientation. 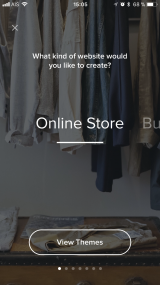 The app will allow you to create full multi-page websites, along with a blog and an online shop. Creating pages and ordering them in your menu, organizing your content and changing your theme is all clearly available in the simple bottom-set toolbar. In fact the editing screen is the cleanest and most stripped down of any of the website builders we tested. There are also popup tips in the beginning to help familiarize you with the editor. But there are still quite a few things you have to learn, either by trial-and-error or by searching in the Weebly community forum. Weebly supports many types of content: Title, Text, Image, Gallery, Slideshow, Map, Contact Form, Newsletter Form, Button, Embed Code, Divider, Spacer, HD Video, YouTube video, File (from Google Drive), Products, Categories, Search Box, Block Quote, Social Icons, RSVP Form. A standout capability is that all the forms can be customized. And you can create sections or rows of content with any number of columns. No matter how many columns you use, they behave responsively for mobile screens, re-ordering to single column display. The text editor is rich: links, color settings, underscore, bold... Actually, as you edit the text directly in the website, you get a good feeling of how this text will interact with surrounding elements, but basic operations (like highlighting a word or positioning the cursor) are a bit tricky. The image editor is also extremely powerful - you can crop and rotate, add filters, adjust colour, contrast, brightness and many other things, you can add text on top of an image, and you can even create focus and blur effects. Similar settings are available at site and page levels, and this leads to some unexpected results. For example, the same header picture can result in 2 different header sizes: a thin header and a large header. But at the page level, the only options available are "Header" and "No header", so it's either impossible or not obvious how to switch from large header to thin header and vice versa. Weebly has continued to improve it's themes and has categorized them by website purpose,business, portfolio and so on. 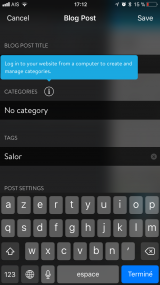 You can change theme at any time in the app and also customize the fonts of the different elements. Most customizations, however, are only available in Weebly for desktop. 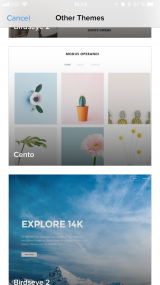 The websites you create with Weebly app look good on both computers and smartphones. Even on the free plan, you can get some helpful in-app statistics (number of visitors). The app is available in English, Danish, Dutch, French, German, Italian, Japanese, Polish, Portuguese, Russian, Simplified Chinese, Spanish, Swedish, Turkish. 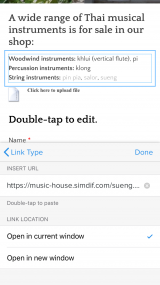 You cannot, however, create multi-language site from within the app. For that you would have to go to Weebly on a desktop. Weebly welcomes you with "Brilliant drag and drop", and actually Weebly app works pretty well this way. But before you can drag something, you need to select it somehow, and this is quite tricky at first on touch devices where tapping already has so many purposes (zooming, scrolling, positioning the cursor...) This makes it difficult to work out how to move existing content around on a page. Weebly is a much improved app that can create a wide range of potentially very effective web content. No single website will need all of Weebly's many features. On the other hand, there are many features which are not available in the app and for which you would have to go to Weebly on a desktop. Similar workarounds are likely to work for other websites builders which have a web-based editor. Anyway, this is far from a killer feature, because after 10 minutes of editing using a website builder designed for computers on a phone you'll just give up. Weebly-generated websites look good on computers and mobile screens. The font selection, image editing and layout options are also excellent, if at times confusing. 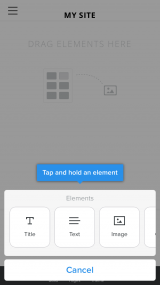 Weebly has some in-app tips and a slideshow for the first time you start the app. There is also a help center with articles on many aspects of website creation and some of these articles are available in the app. 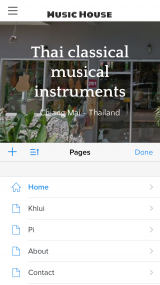 These resources are mostly oriented toward computer users but some items apply to the iOS app. Weebly offers email and chat support via their website. There's also a community forum which can help you find answers to any problems you may come across. There is some room for improvement. For example, even if you haven't added any content, the app invites you to publish your site, view statistics and unlock more features. If you follow their advice, publish your empty website, see that nobody has come to visit it, and if you've paid for more features, you might feel you're not making much progress. 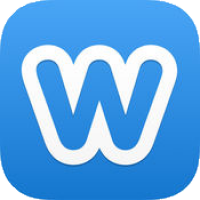 Note: Be aware that the "App Center" refers to apps inside of Weebly and not the iOS app. Weebly websites load very fast, are SSL secure, and all the important meta tags can be edited for each page in the "SEO settings" sub-menu. 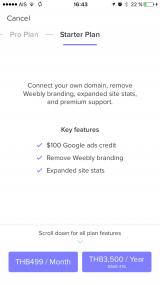 Weebly also offers advice on SEO in several articles. If you already have some experience with website creation and can master the drag-and-drop functions you will probably find your way in this feature-rich editor and successfully complete your project. The simplicity of the main editor screen and the minimalist bottom toolbar also make it easy to focus on your content. 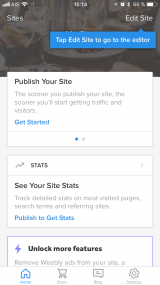 Many more features of Weebly have been added to the app, including editing of a store and blog, traffic stats, shipments tracking and more. However, there are many other features of Weebly and many design customizations which are only available in Weebly for desktop. For this reason we think it unlikely that those who have the option of going to a computer will complete their website using only the app.